After much anticipation the Robinson Armament XCR-M was set for release last winter. As a teaser their website allows you to select a few details to build your own XCR-M. Unfortunately you can’t do much more than select color and length but it does offers a good look at the external appearance of the rifle. 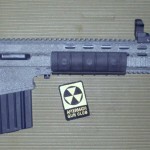 The XCR-M is currently only available in .308 Winchester (7.62x51mm) and .260 Remington. (a .308 Winchester necked down to 6.7mm). 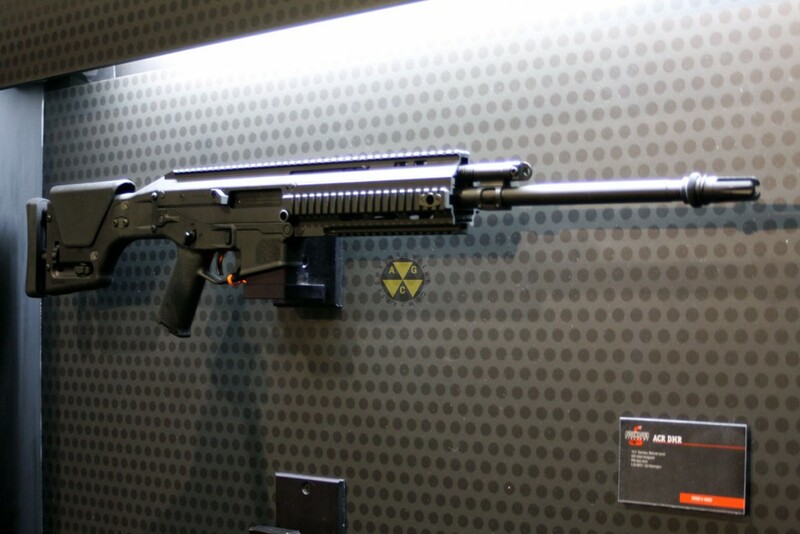 Knowing Robinson, more calibers are likely being tested, but that is still one more caliber than the SCAR 17S. Unlike many competitors, Robinson does already have caliber conversions out for the XCR-L, this is a good sign that the XCR quick change barrel conversions will be further supported. The XCR-M utilizes common Stoner (M110, SR25, DPMS) type magazines. More interestingly is RobArm’s take on the dynamic stocks of modern combat rifles. They call theirs the FAST or Fully Adjustable Stock. 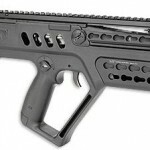 Like the stock of the FN SCAR and Bushmaster ACR Enhanced, the FAST features an adjustable comb for cheek-height. Like the aforementioned brands it also includes a collapsing adjustment for different lengths of pull, or LOP, used in different shooting styles, use of body armor, or for people of different body sizes. While the stock also folds for compact transport it can also be mounted at three different heights on the receiver of the carbine. The only other stock I know capable of this is the RE-SCAR made by VLTOR, an height adjustable receiver extension for adding an AR15 type stock to a FN SCAR. To fully understand how useful this is, one most consider the straight profile of an AR15 vs the curved stock profile or dropped alignment of stock to rail height of a FAL, XCR, POF, HK416, or SIG556. In these cases AR15 height iron sights would be too high to obtain a cheekweld. While several brands are now offering lower “HK416” height iron sights, installing the stock at a different height alleviates the need to buy specialty hardware. All of this, and the FAST is of metal construction, with only the cheekpad and rubber buttpad excluded. I am not quiet when it comes to how much I prefer a lightweight gun when possible, while I’d prefer a longer gas system, I appreciate the option of having a shorter rail system (compare above photos) to trim the weight. Having said that, the 18.6″ heavy-barreled standard length rail XCR-M comes in at a 9.25lbs compared to the 18″ LWRC REPR at 10.5lbs. 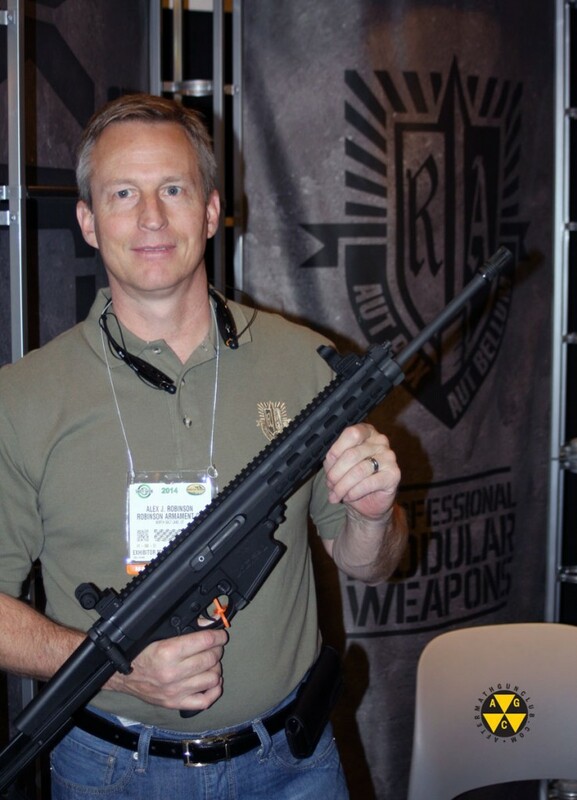 The RobArm XCR-M Mini with a 16″ light contour barrel weighs in at 8.2lbs compared to the 16″ LWRC REPR at 9.5 lbs. Both rifles are finely made but I do prefer that drop in weight. Both companies offer SBR options if you would like a factory registered barrel shorter than 16 inches.